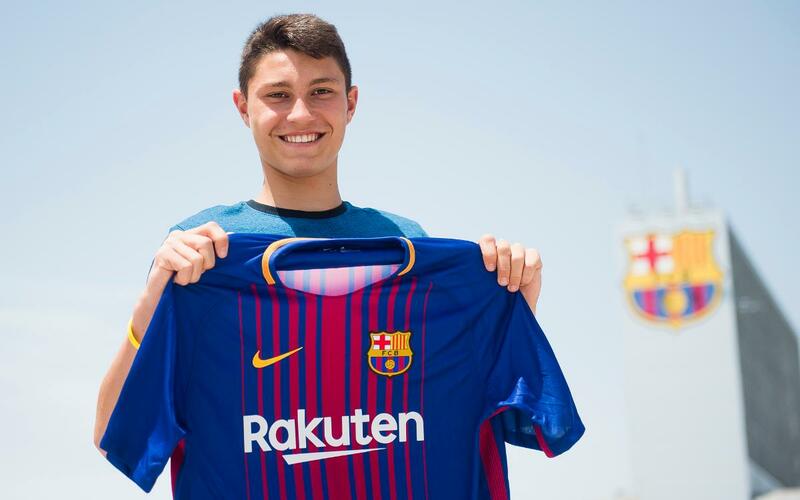 Jorge Cuenca becomes Barça B’s sixth signing ahead of the 2017/18 season. The player arrives from Alcorcón and he signed for FC Barcelona at the Ciutat Esportiva Joan Gamper offices accompanied by Silvio Elías, the Director responsible for professional youth football, and Josep Segura, the sports manager of the football area. Cuenca has signed a two-year contract with the Club with an optional three more and his buy-out clause is of €30 million. Barça have paid €400,000 for his signature. Jorge Cuenca, born on 17 November 1999, is a left-sided centre-back who came through the Alcorcón academy and made five Division 2A appearances during the 2016/17 season. He likes to join the attack, closes down space well, is a good passer of the ball, has character and reads the game well.